Acme White Lead and Color Works. 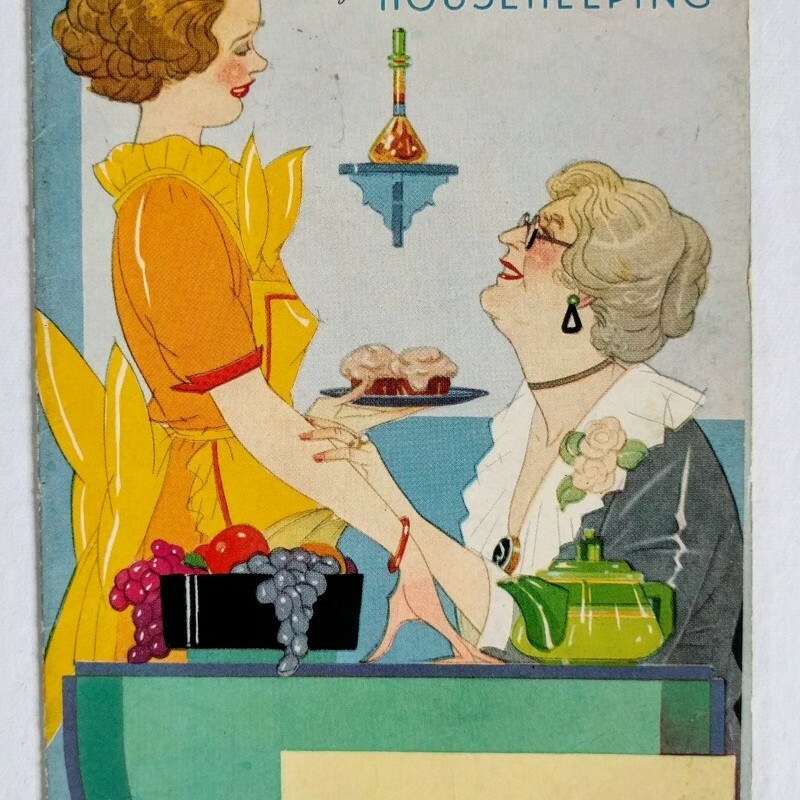 Pride in Kitchen and Bathroom: A Sure Sign of Excellent Housekeeping. Detroit, MI: Acme, n.d., ca. 1936. Single-sheet folded pamphlet, color illus. 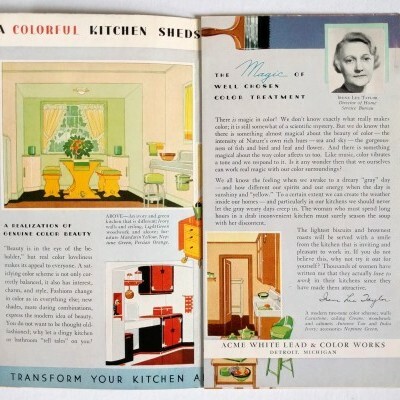 ; publicity pamphlet for Acme urging good housekeepers to update their paints, with sample designs and text by Irene Lee Taylor, Director of Home Service Bureau, very good.